Occasionally a blog out there manages to take MMOG discussions to a new level. Sometimes this is a good thing and is beautiful to behold and we all bask in the warmth and wisdom that shines down on us from the illuminated keystrokes of these divine discussions. Sometimes things go in another direction. When that happens we like to talk about it, ridicule it, and occasionally, when a blog or blogger reaches an important milestone in what we call the Blog-O-Steria, we like to award achievement badges. New achievement badges await their respective unlocking. Unfortunately, we can’t reveal them until they are unlocked. 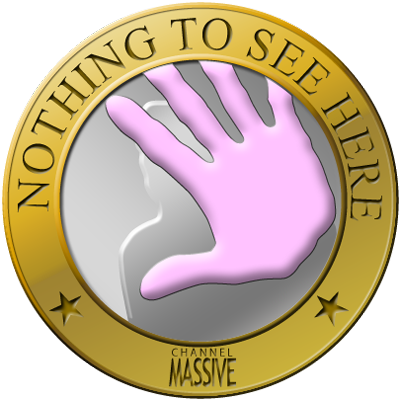 Stay tuned as more badges are discovered, unlocked, and awarded to well-meaning bloggers throughout the MMO blog-o-sphere. The honor of unlocking the first achievement badge went to Heartless_Gamer for the content of his blog which proudly proclaimed: “I graduated college with a 4.0 GPA, twice! 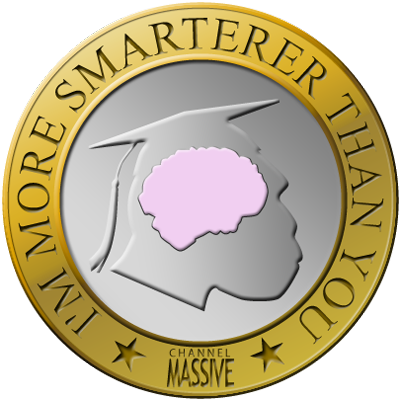 No, you are not smarter than me.” Heartless was awarded this badge in Episode 54 – The Unlocking. 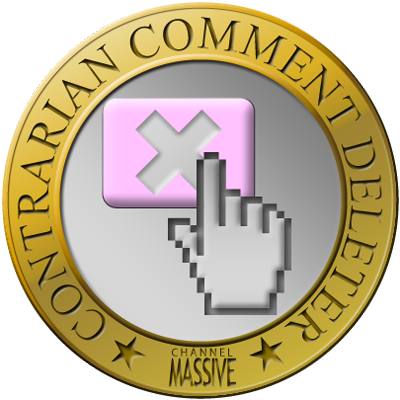 In Episode 54 – The Unlocking the M-Team honored Keen and Graev with the Contrarian Comment Deleter Badge after one of our devoted listeners documented the deletion of his not-so-positive comment responding to one of their posts. Rob of http://www.mmocrunch.com/ earned and unlocked the prestigious Pwn3d by a Developer Badge as was chronicled in Episode 55 – Pwn3d when especially angry developer, James Henley, decided to make an example of him. 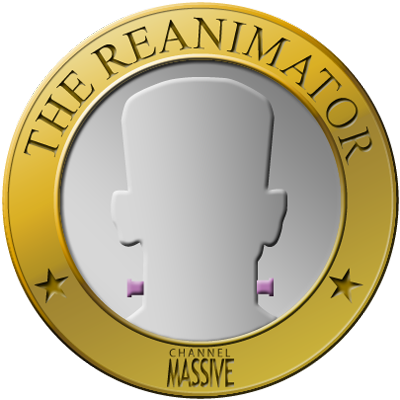 While we felt the treatment was unwarranted, we couldn’t help but immortalize Rob’s personal tragedy with this badge. Snafzg of The Greenskin blog unlocked this badge after deleting a post regarding his displeasure with Mythic and his Warhammer Beta access (as discussed in Episode 57). He deleted his original post and Took a Deep Breath after the comments section in said deleted post got a little heated. The badge was awarded to Openedge1 after he blew up his old blog and restarted it under a new name. Learn how this achievement was unlocked in Episode 60.